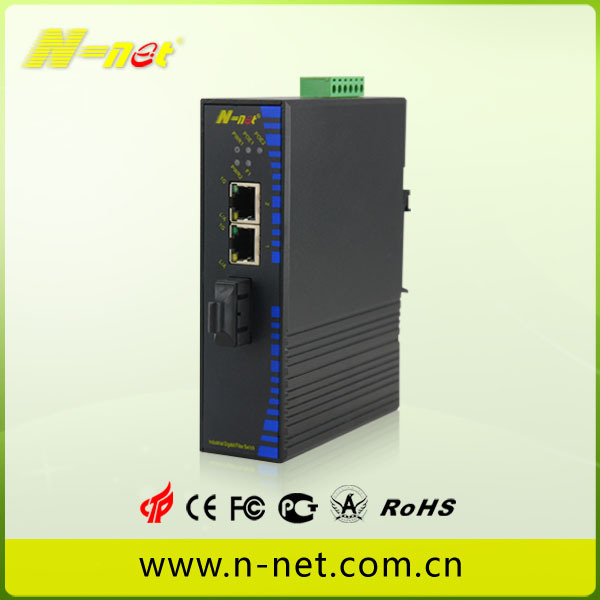 NT-IN 312 series are 2-port 10/100/1000Base-TX to 1000Base-SX/LX Industrial Gigabit Ethernet Switch. It will extend transmission distance of network up to 100Km via fiber port, and the UTP port can operation at 10M, 100M,1000M application. NT-IN 312 Industrial Gigabit Ethernet Switch series is packaged in a special compact IP40 metal case that allows either DIN rail or panel mounting for easy installation at control cabinet. It provides an integrated power supply with a wide range of voltages for worldwide operation. It also offers dual-redundant, reversible polarity 12V DC to 48V DC power supply inputs for high availability applications requiring dual or backup power inputs. 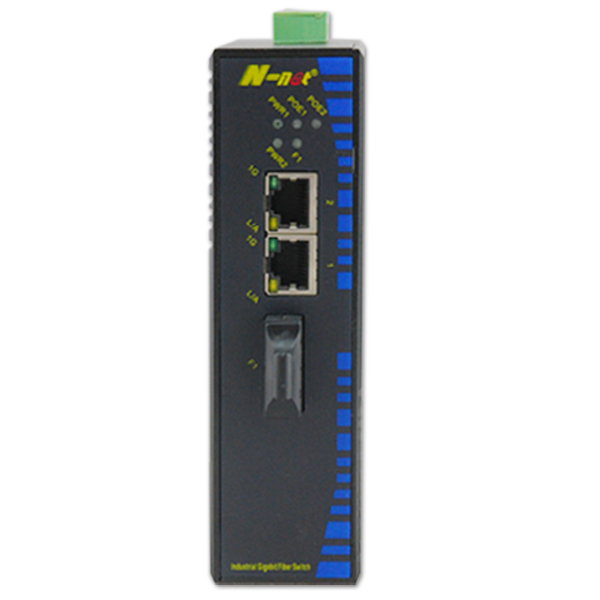 NT-IN312 Industrial Switch series complied with IEEE 802.3at High Power Over Ethernet technology (optional). It is downward compatible with 802.3af PoE standards to allow users flexibly deploy standard and high powered devices simultaneously with no need of software configuration. With Data and Power over Ethernet from one unit, NT-IN312 Industrial Fiber Switch series shall reduce cables deployment and eliminate the need for dedicated electrical outlets on the wall, ceiling or any unreachable place. Looking for ideal 10/100/1000mbps Industrial Ethernet Switch Manufacturer & supplier ? We have a wide selection at great prices to help you get creative. 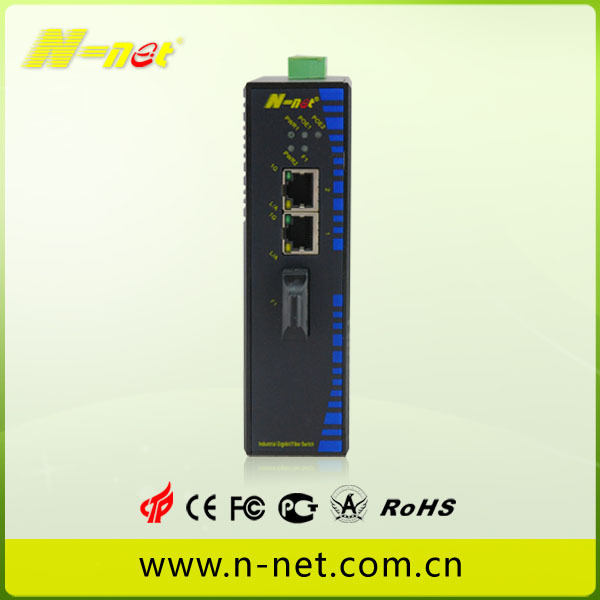 All the Industrial 3 Ports Gigabit Media Converter are quality guaranteed. 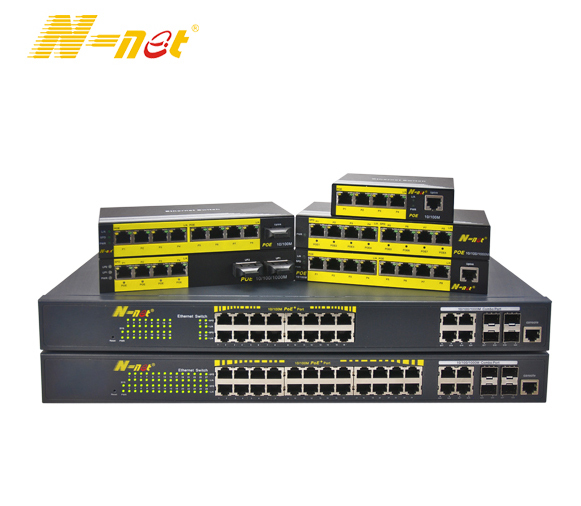 We are China Origin Factory of Unmanaged Industrial Gigabit Switch. If you have any question, please feel free to contact us.